The 1998 Monster Spectacle Returns! (Ferris Bueller’s Day Off) and Jean Reno (Léon: The Professional) team up as the unlikely heroes out to save New York City from the giant, fire-breathing monster and its babies hatching in Madison Square Garden. 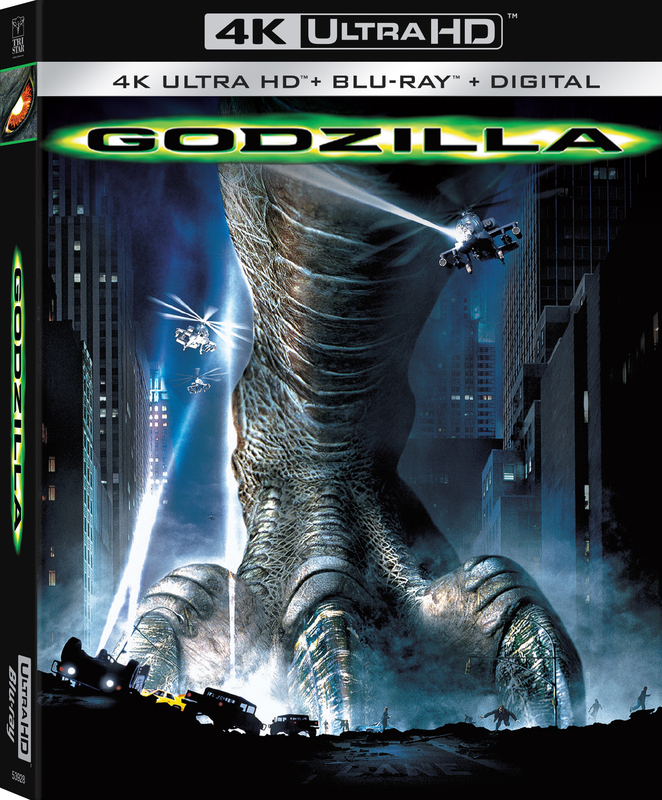 Fully remastered in 4K from the original camera negative with High Dynamic Range, GODZILLA® on 4K Ultra HD also includes new earth-shaking Dolby Atmos sound. The 4K Ultra HD disc also includes three trailers, including the original iconic teaser! GODZILLA® has a run time of approximately 139 minutes and is rated PG-13 for sci-fi monster action/violence.